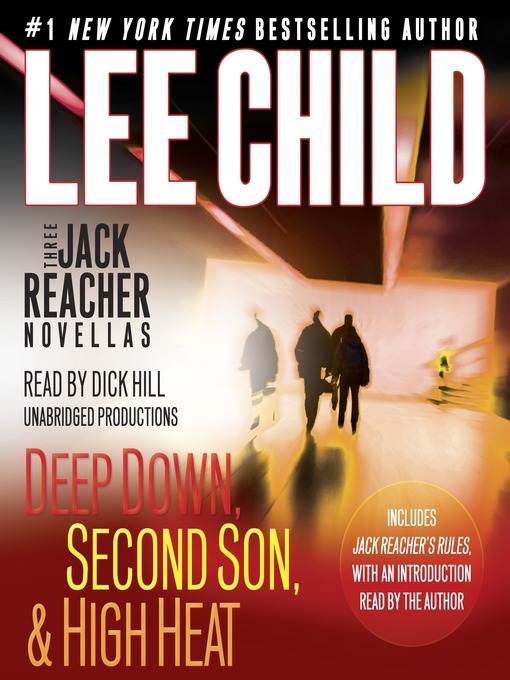 The instance 3 jack reacher novellas (with bonus jack reacher's rules) : Deep Down; Second Son; High Heat; Jack Reacher's Rules., Lee Child, (electronic resource) represents a material embodiment of a distinct intellectual or artistic creation found in Hamilton Public Library. This resource is a combination of several types including: Instance, Electronic, Sound Recording. Deep Down; Second Son; High Heat; Jack Reacher's Rules.